Sashi Moorman is a winemaker. And, in navigating the Sta. Rita Hills and their surrounds, he is a rather adept geographer, historian, geologist, and storyteller, too. This versatility is not a parlor trick, but a necessity of his craft: Sashi’s wines are unrelenting works of intricate engagement with terroir. What’s more, on a good day, it takes three California wineries (plus one in Oregon, and the help of some family and friends) to begin to express all he has to share. His partner in all these ventures, Rajat Parr, has embarked with Sashi in establishing an encyclopedic vision the Sta. Rita Hills. This began with Sandhi Wines, a negociant project founded seven years ago as a framework for the meticulous exploration of many of the appellation’s defining vineyards. 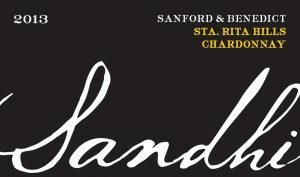 As their mantra, Sandhi chose ‘Balance’ – the confluence of ripe energy, minerality, acidity. 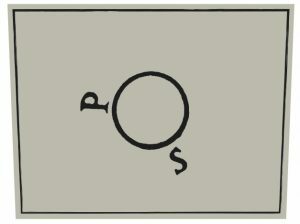 This guiding principle informs their vineyard choices as well as their hands in the cellar. They pay homage to the area’s short history, but they have also been instrumental in reifying our understanding of younger lauded vineyards. If Sandhi was a love letter to an appellation, Domaine de la Côte would be Raj and Sashi’s ode to terroir. In 2006 they discovered an uncultivated site at the far western limits of the appellation, 700 feet above the Santa Ynez River and only seven miles from the ocean. Domaine de la Côte would be a “winemaker’s vineyard,” as Sashi has put it, a privilege all too rare in California. Lastly, alongside his wife, Melissa Sorongon, Sashi makes Santa Barbara County Syrah – and some bread (from estate-grown grain, no less) for good measure. It is here, as Piedrasassi, an intimate study of a varietal, that Sashi asserts that great wines have “both a mind and a place behind them.” And with each taste we are reminded again how lucky we are that this mind belongs to him. This is the birthplace of the Sta. Rita Hills appellation. Sandhi works with the original, own-rooted Wente plantings from 1971. This north-facing site sits on silex-based clay soils. 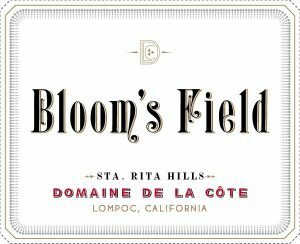 Bloom’s Field is a 7.5 acre parcel of iron-laden clay loam over shale on the Domaine’s western edge. The Pacific winds are of particular influence here, blowing from morning to evening. It is planted to alternating rows of three heritage selections – Mount Eden, Swan, and Calera. Bloom’s Field is fermented 100% whole-cluster and aged for 16 months in 20% new Ermitage barrels. Sourced from lauded vineyards including Harrison Clarke (planted in 1999 on clay and limestone), Sebastiano (planted in 2008 on clay and limestone) and Rim Rock (planted in 1988 on decomposed shale). Average yields are less than 2 tons/acre. Native yeast fermented with 10& whole clusters, and aged in neutral 500L casks. No racking and no sulfuring during 15 months elevage. No fining and filtering.